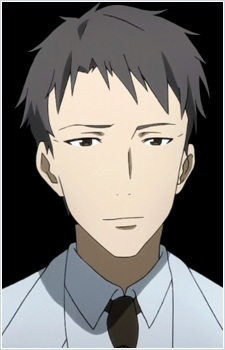 Akihiko Kayaba is the Director and Creator of the Nerve Gear and Sword Art Online. He traps all the players within Sword Art Online by using the Nerve Gear to cease sending signals to the users' body. Any attempt at removal, loss of power for a certain period, or if the user dies in the game will also kill the user. His motivation is to observe what happens after he traps them. In the closing moments of the ALO incident when it appeared Sugou had defeated Kirito and Asuna due to his GM status, Kayaba reveals himself with a even higher status as the game's creator (ALO was made from a copy of the SAO server) and allows Kirito the chance to have a fair fight with Sugou in which he easily wins thus recusing Asuna. Kayaba then gave Kirito a "seed" which he said that he leaves its fate to his hands. Whether to delete or forget it is fine, but if he did have some lingering emotions for Aincrad then he would ask Kirito to let it bloom.